You used to call me on my cell phone…. This faux fur collar from H&M can dress up any coat in my closest during the colder months and it just went along perfectly with this pastel pink coat I picked up from for less than half the price this past summer. 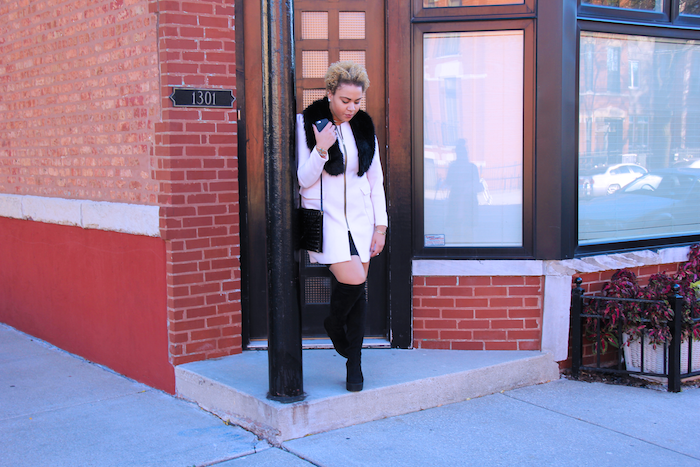 My new favorite thigh high boots from ASOS couldn’t have completed this look any better! Check out some of the best looks from Fox's Scream Queens! What's your fave? I love this look! I am going to have to replicate it some time soon; I'll let you know how my version turns out.